This week Nigel centres on a bar which has only been open for around a month but is proving to be a hit with fans of Country Music. The Grand Ole Benidorm Opry situated on Calle Ibiza is Benidorm’s Only Music venue to be dedicated solely to Country Sounds. The Bar has been an ambition of Entertainer Billy Val Williams and together with Linda, Gerry and Cheryl they have made this dream a possibility. Billy and Cheryl Taylor are the resident artistes in the bar and as such are seen every night performing a show. The bar itself is very clean and tastefully decorated with lots of memorabilia from the Country Scene and even has a Country Music Hall of Fame adorning the walls. The sound system is very clear and there is a good size stage. There are artistes every night of the week and every weekday afternoon from 3pm there is Country Karaoke which is a new concept in the town. If you have fancied having a go at line dancing then this is the place to be. On Sunday, Monday and Fridays instructors are available to teach you the art of Line Dancing. 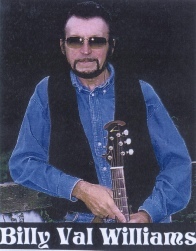 With the festive season rapidly approaching there will be a full programme of events with Guest Artistes and in January they have secured the services of one of the UK’s top Country Music Names in Dave Sherriff. Have a wander down to see the gang at Benidorm’s newest venue. 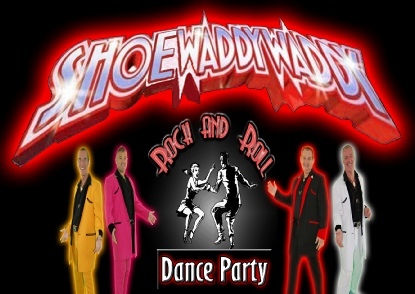 On my travels around Benidorm this week I wandered into The Town Club situated on Calle Lepanto and watched a tribute to the 50’s done by a group calling themselves Shoewaddywaddy. The ‘Shoes’ as they are affectionately known were the first tribute band to adorn the stage in Benidorm first appearing at the Town over six years ago. The original band was a trio stemming from an idea by Ian Robinson and was so successful soon their numbers were augmented to a four piece Rock ‘n’ Roll band to complete the harmonies in the songs. The 50’s Rock ‘n’ Roll dance party is tremendously lively and vibrant affair which certainly gets the audience revved up. The show is very professional and the costumes worn on stage are brightly coloured, befitting the era they are portraying. The guys in the group namely Ian, Jeff, Roy & Chunky B are forever striving to add new songs into the show to ensure standards are maintained. From what I saw, the Band and Audience alike were well into the show and it was nice to see they actually took time to pose for photographs which the public were taking. This is a show well worth seeing if you like to take a stroll down memory lane to the 50’s. They can be seen every night at the Town Club on Calle Lepanto, Benidorm.